Last May, Somuchpoker ran a story on the ban of online Texas Hold’em apps in China. Since then, the general state of poker in the country seems to have gotten bleaker. At the currently ongoing WPT Korea, we had a chance to chat with one of China’s top live tournament players, Guo Dong. Dong was representing Team China at the Teams Event side by side three other highly decorated players from the country. Dong shared with us his sadness and pessimism at the current situation of the sport he loves. It is evident that the ban instantly changed the poker landscape in China for the worst. Ourgame and WPT paused all operations ending the six-year run of WPT Sanya. Many local tournaments have been cancelled. And just last week, the Tencent Poker application shut down led to the cancellation of 2018 WSOP China. Sponsored players such as Dong took a direct hit as it made it much harder for them to travel to play. For Dong, being unable to represent his country and wave the Chinese flag in honor has made him very unmotivated to play. Despite his frustration and diminishing drive, Dong still feels he has a responsibility to the Chinese poker community as well as to himself. Attending the WPT Korea Teams Event along with his friends – Yang Zhang, Xixiang Luo, and WSOP bracelet winner Wei Guo Liang, it gave them something to fight for together. With the team format showcasing poker as a sport, it was a great motivator for each of them. *At the time of writing, Dong just brought Team China to victory. Unlike in Australia where players lobbied for online poker and were given a chance to submit testimonials on their plea, in China it was very much the opposite. Players neither had chance to engage in a discussion with the authorities nor were they able to lobby for the game. Until today, it is still unclear how the decision to ban online poker apps was reached. However, the answer to that question may already be moot. With the unwavering stance of the government, it is becoming increasingly difficult to be invested in the game under these conditions. This applies for both players and big companies. While the gambling problem persists, it will continue to be difficult for poker to exist without scrutiny. There’s a saying, “when there’s a will, there’s a way”. China may be cracking down but for the rest of Asia, the live tournament scene flourishes. For die-hard Chinese tournament players, attending these events do fill a void. “Japan Open invited me twice to play in their tournaments. Japan is a bit similar to China, they don’t allow gambling so their tournaments have almost no buy-in, and the prizepool is tiny, only the top 3 get a Red Dragon package or something like that. Still, many players go because they love the game”, Dong said. However for some, it is too costly to travel just to play. Live tournaments are expensive. They are nowhere near as cheap and as convenient as playing online. This results in players going underground, playing online on banned platforms where private games can be organized. Most of these platforms operate well but the stakes are much higher. In turn, the chances of losing are equally up there not just monetarily but for the image of the game as well. “After the Tencent Poker app shut down many players asked me where they can play, I told them you can still play live games, but they said they don’t have that much money, they only wanted to have fun, playing small games or even free games, which Tencent used to offer. I feel very sad because I don’t know how to reply them. I know tournament poker isn’t gambling but many people don’t know that. There’s gambling area eg. cash games, but how to educate young players, how to make them play better, become better? I think this game taught me a lot in many ways, how to be an example for young players. For me it’s just a game”. 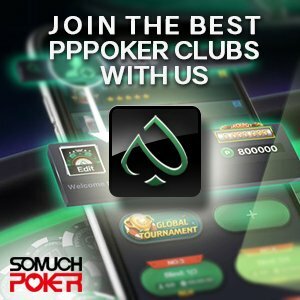 With the loss of the Tencent Poker app, which in Dong’s view had one of the most healthy approaches to poker with their wide range of small games, Chinese online players are pushed to platforms potentially way more harmful for them. While there doesn’t seem to be any signs of this crackdown easing up, players have resigned from being optimistic, at least for the short run. As for the future, there is always a possibility for change. “Ten years from now I think it’s long enough to change something, peoples opinions will be more open, I believe so. They will find out that it’s not a bad game, it’s not gambling. You can gamble on anything so how can you stop people from that. I really like the game and I hope people can see it the way I do. In 10 years I would love to believe that will happen. But maybe winning WSOP Main event is even easier”, Dong laughed.